Beyond the decision whether to sue a company or corporation for injuries, there is the decision of where to sue a company or corporation. Is it where you live? Where the company is headquartered? Where the injuries occurred? Those options got whittled down considerably yesterday when the Supreme Court ruled that a Texas-based railroad company couldn't be sued in Montana for injuries that were sustained elsewhere. The decision could have a significant impact on future personal injury cases. Two different plaintiffs were suing the BNSF Railway Company on unrelated injury charges: Robert Nelson, a North Dakota resident and former BNSF truck driver, sued the company in 2011, claiming he injured his knee in a slip-and-fall while on the job; and Kelli Tyrrel, of South Dakota, sued BNSF in 2014 alleging her late husband developed a fatal kidney cancer while working for the company. Nelson's injury occurred in Washington State, Tyrrel claims her husband was exposed to carcinogenic chemicals in South Dakota, Minnesota, and Iowa. Yet both sued in Montana, ostensibly a friendlier venue to plaintiffs that allowed state courts to exercise jurisdiction over "persons found" in Montana also does not help the plaintiffs. According to the lawsuits, BNSF conducts quite a bit of business in Montana, operating trains on more than 2,000 miles of railroad track, employing 2,000 Montanans, and investing $470 million in the state over the last four years. But that wasn't enough for the Supreme Court, who ruled that exercising jurisdiction over BNSF must still be consistent with the Constitution's due process clause, and that merely doing business in-state "does not suffice to permit the assertion of general jurisdiction over claims like Nelson's and Tyrrell's that are unrelated to any activity occurring in Montana." Beyond the specific BNSF lawsuits (of which there are 33 pending in Montana courts), the Court's ruling means state courts cannot hear injury claims if the companies are not based in the state or the alleged injuries did not occur there. The Wrong Side of the Law? The Court's ruling, the first in which new justice Neil Gorsuch participated, was not unanimous. The lone dissenter, Justice Sonia Sotomayor, described the decision as a "jurisdictional windfall" for large multistate or multinational corporations. "It is individual plaintiffs," Sotomayor wrote, "harmed by the actions of a farflung foreign corporation, who will bear the brunt of the majority's approach and be forced to sue in distant jurisdictions with which they have no contacts or connection." 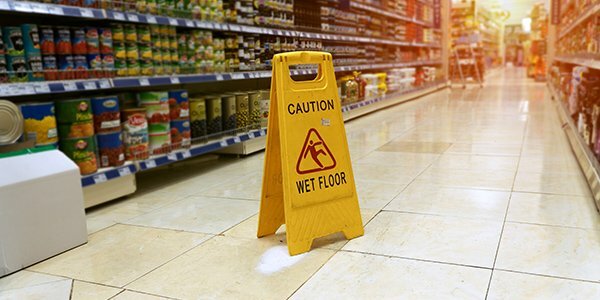 This will likely make filing an injury claim even more complicated, so if you're thinking about filing an injury lawsuit against a company or corporation, contact an experienced personal injury attorney first.